I am sure that everyone had heard about the gene that causes us to collect things. Usually they are things that we will never use but we proudly display. When I was younger, I collected unicorns. Oh yes, I had unicorn everything before it became popular. That was part of the thrill because I would have search out these unicorn and this was way before the days of the internet. Now that I am older and I hope more practical, I collect things that I use. 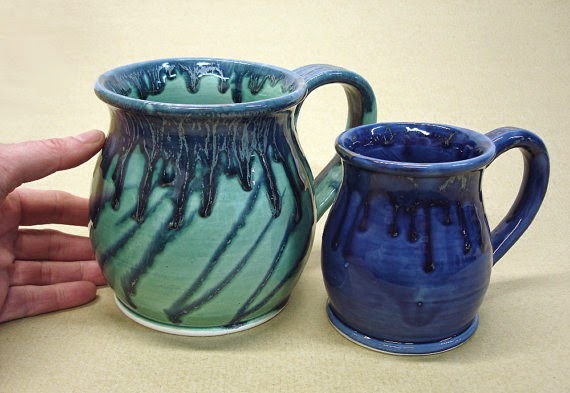 One of my proud collections is of hand made tea mugs. Today I thought that I would share with you some that I would love to add to my collection. If they strike that collector's gene in you then just click on the pic which will take you to the shop where you can pick them up. 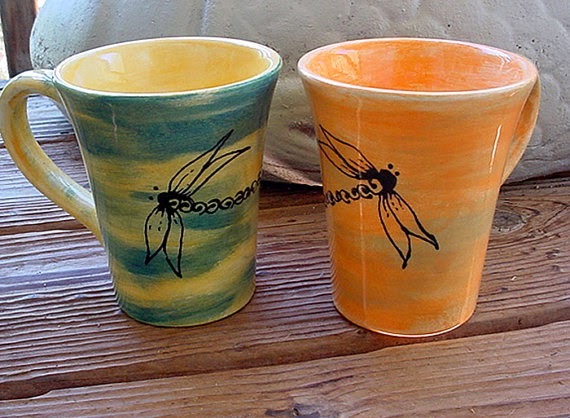 I just love these but then I have an attraction to dragonflies. I confess to having a weakness for the larger mugs. That way I don't have to stop what I am doing to go get a refill. You get the big teal one. The dark blue one is just for comparasion purposes. I just love the beautiful watercolor design on this one. 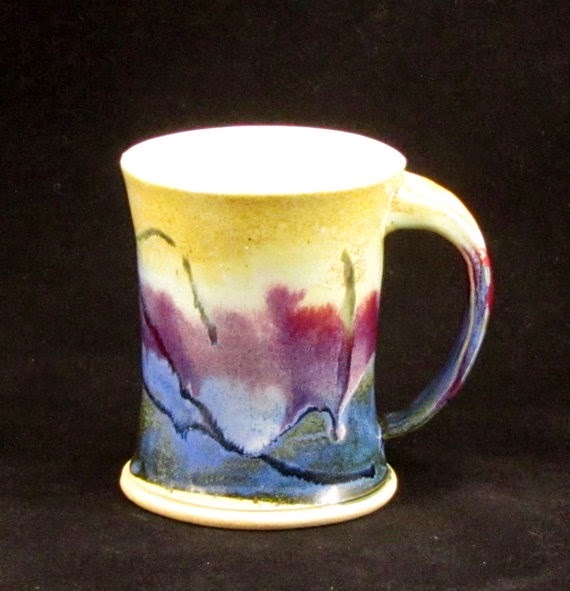 This one is just a bit small for me and my tea but I love the wash of colors. Perhaps to hold tools in the studio? This one is just so cute. I love the little feet on it. The handle is rather unique also. 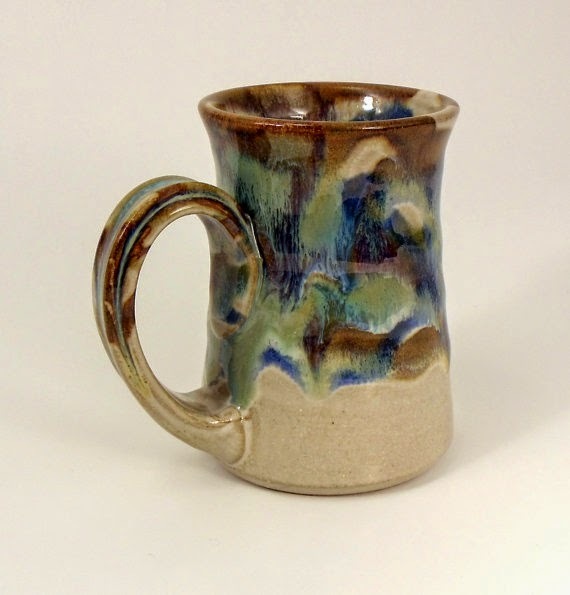 Has anyone tried out a tea mug with a handle similar to this one? How comfortable was it? So here is a little insight to a couple of my addictions, both tea and collecting. What do you like to collect or do forgo it all? I love tea/coffee mugs (I drink both - coffee when I first wake up and tea for the rest of the day). 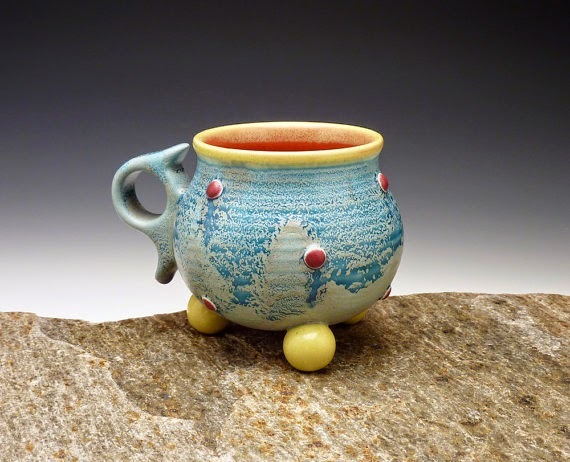 The bigger the better for me and there is just something wonderful about a nice sturdy mug. My favorite is one with a basset hound on it that I got from a wonderful seller on Etsy. It holds about 20 ounces and I use it just about every day. I love all the ones you have pictured, I think the last one is my favorite though, just because it's so unique.